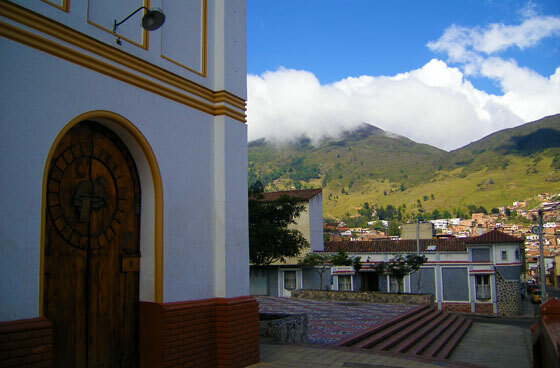 Pamplona, Colombia, is a small city nestled in the mountains of the Eastern Andes. 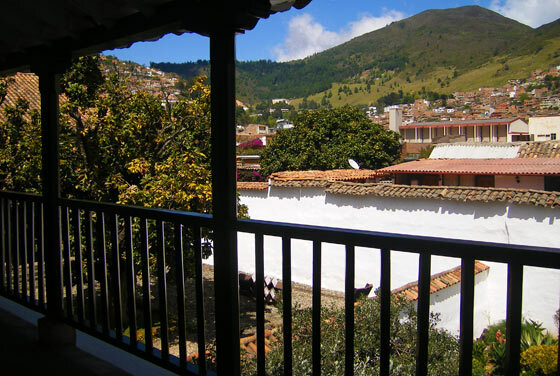 Due to its altitude it has a cool climate (it can get very chilly at night) which can be a welcome relief if coming from the sweltering temperatures of Cucuta and Venezuela to the east. There is a large student population here and the place has a distinctly bohemian atmosphere which is slightly unusual for such a small city. The city has more museums than Bucaramanga and Cucuta put together which gives it a very cultural feel. The Museo de Arte Moderno located on the central plaza is worth a visit. It features the work of Eduardo Ramirez Villamizar, one of Colombia's most noted artists, who was born locally. Villamizar was initially an exponent of expressionist painting, but later began creating geometric sculptures, many if which are on display in a delightful garden at the back of the museum. The centre of the city is Parque Agueda Gallardo. 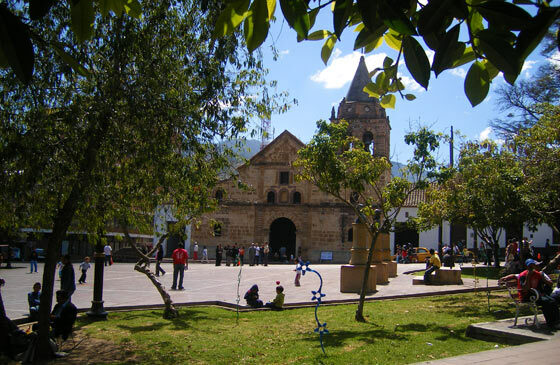 On one side of this pleasant plaza lies Santa Clara cathedral. This area is a nice to place to relax with a drink and people watch for a while. Also worth a look is the Casa Colonial, one of the city's oldest buildings which houses are good collection of artifacts of the indigenous groups from the region. For a quality Pamplona hotel I recommend Cariongo Plaza Hotel. It's exterior might have seen better days, but the rooms and facilities are first class. The hotel includes a gym and restaurant with a decent menu. For good budget accommodation try Hotel Imperial, right on the central plaza. Rooms include en-suite bathroom and TV. Pamplona lies about 3 hours from Cucuta near the Venezuelan border. To the West lies the department of Santander. About an hour up the Eastern Andean mountain range isthe small town of Berlin which sits upon a paramo (a large region of bogs and grassland at high altitude). 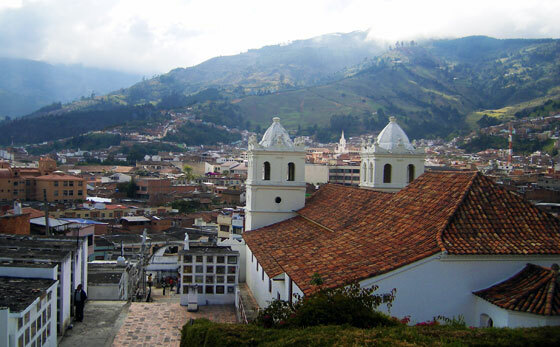 And further West and down the other side of the mountain range is Santander's capital Bucaramanga. 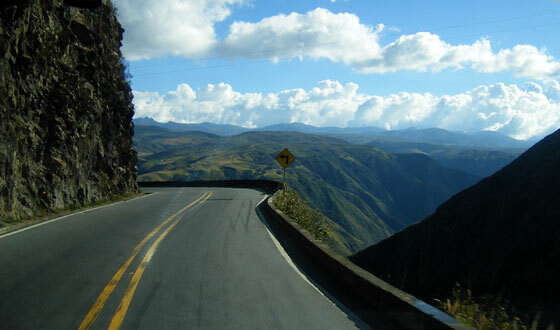 There are frequent buses between to and from Cucuta and Bucaramanga. If you're looking to spend some time in and around Berlin check to make sure the bus will let you off en route as some of the larger coaches go direct between Pamplona and Bucaramanga. The city's bus terminal is located about 400 metres south of the Parque Principal. The journey both East and West of the city is spectacular with dramatic views of the mountain scenery as the bus weaves along its route with sheer drops on one side and steep mountain faces on the other. Most places of interest in the city are easily reached on foot, but taxis are available should you need one.